The latest agreed upon people count in Saskatchewan seems to be 1.3 million. That’s spread across all 651,900 square km of our fine province. A recent report from Statistics Canada has crowned Saskatoon and Regina the third and fourth fastest growing cities in the country, respectively. However, even at annual growth rates of 3.2 per and 2.8 per cent from 2013 to 2014, that leaves just the Saskatoon area population at just over 300,000 folks and Regina’s count around 237,758. These urban numbers are staggering considering the stagnant growth and migration of people in our not so distant past. Unfortunately, we still have some growing to do. Retailers like Ikea are very open about their need for a million plus population within a 40-60 km radius of setting up shop. Costco already exists in Saskatoon and they are tight-lipped about a second location; though anyone that’s been in there on a Saturday cannot understand why it isn’t a done deal! Outside of the demolition of existing property, there really isn’t much out there for sale in zoned retail land. Capturing dirt in established areas like 8th Street is all but a rarity, creating sensational highest bid sales that buck prior comparables when it does come on the market. Here’s an example of east side retail land, on Broadway. The City of Saskatoon has no inventory at present for retail property. There is opportunity coming up in Arbutus’ 75 acres in Rosewood and Dream’s (formerly identified as Dundee) 22 acres in Holmwood for commercial development but the areas are still in their infancy of development. Some retailers are great at researching the ideal location and others flock to those who have done their homework. Tim Hortons, for example, does an exceptional job of identifying sites where they should locate within markets. Retailers who pay attention to Tim’s locations are safe to bet that the area is emerging or has reached its potential if Tim’s is settling in. It takes a lot of the guess work out of the equation to know this coffee giant believes in the worthiness of a site. Competition loves company, so there are retailers searching the market that like to locate within a stone’s throw from their biggest competitors. Getting those competitors here, however, can be part of the challenge. The people who have lived in this province their entire lives, agree the tremendous growth we’ve experienced over the past 10 years has been a long time coming. There are several retailers and businesses that have opened in Saskatoon and Regina that have surprised me. Perhaps now is a time to practice a little patience. The secret’s out, people are coming back and the province is filling up a steady pace. Let’s give the municipalities time to catch up with the required infrastructure work and grow the businesses who have already committed. 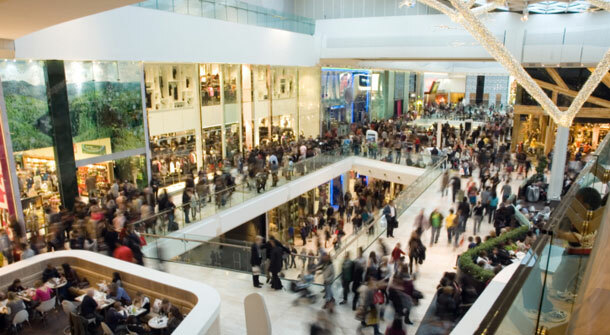 Should population projections be correct we will soon enough be entertaining the mega-retailers, but the question is just how long that might take. Do you have a prediction of your own?